Mr. Meyer has four years of experience in environmental consulting. He has overseen subsurface investigation and remediation of projects primarily involving chlorinated solvent, heavy metals, and petroleum impacts. He has also been involved with Phase I and Phase II Environmental Site Assessments. His professional experience includes historical document research, data analysis and interpretation, budgeting and proposal scoping, compliance with state and federal guidance, subcontractor coordination, preparation of regulatory investigative and remedial reports. Mr. Meyer’s field experience includes investigation, delineation and remediation of chlorinated solvents, heavy metals, and petroleum impacted sites, conducting Phase I and Phase II Environmental Site Assessments, oversight of sonic and direct-push drilling, vapor intrusion assessments, soil excavations, injections, remedial system installs. 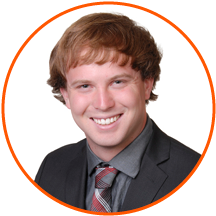 Mr. Meyer works closely with clients, subcontractors, regulators, and other project stakeholders to see a project through to closure.